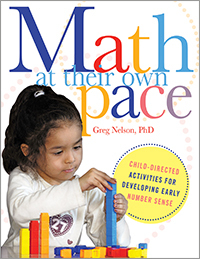 Greg Nelson is a professor of early childhood education at Bridgewater State College in Bridgewater, Massachusetts, and has been a lead teacher in a Montessori program. He holds a PhD in educational psychology, human development, and cognition. Like many teachers, you may not know how to create your own math program and end up relying on teacher-directed activities that emphasize memorization.